The UK will not legally be able to sign trade deals until it has introduced a new domestic farming policy, according to an industry group boss. Ian Wright, director general of the Food and Drink Federation, made the remarks at the Agribusiness Conference in Peterborough this week. He claimed the issue had not been talked about because people were ‘not prepared’ to seriously discuss the future of farming. 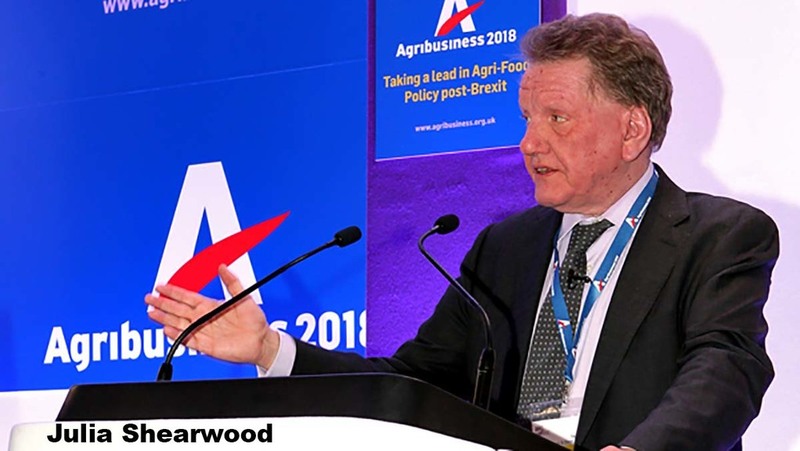 “We should be having a conversation about what the shape and character of British farming and the British food and drink industry should be in the next 20 years”, he said. “This conversation is not just important for all of us, but it is actually a pretty critical pre-condition of all the trade deals we will need to do. “You cannot do a trade deal which involves agriculture until you know the nature of state support for British farming. “It is just not possible because WTO rules do not allow you to do a trade deal which does not include reference to state aid. Economist and trade specialist Derrick Wilson disputed Mr Wright’s claims. He said: “This is simply untrue, there are no such rules in the WTO. “Mr Wright seems to be confusing two quite separate things: the notification of limits on domestic farm subsidies in the UK’s new Schedule of Commitments to the WTO, and the WTO rules on forming trade agreements. “Not only are there no WTO rules of the sort suggested by Mr Wright, but a close examination of the current limits on subsides, as provided in the Schedule of Commitments, shows they put no substantial constraint on either EU or UK support to farmers.